Videos are DRM encrypted during encoding, and can only be decrypted on the user device player. Add IP address, User-Id and Email-Id to deter screen capture. Identify point of origin of piracy. Restrict access to particular Geo/IP. Enable restrictions to total user video play time.  Integration with Google's Widevine DRM to disable screen capture and ensure Hollywood-grade security. Complete Security on iOS Devices, including blocking screen capture software.